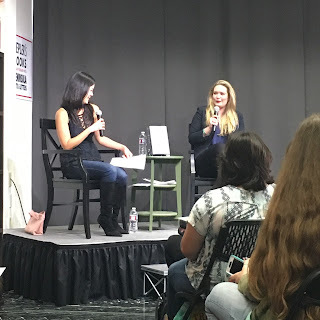 I met my QUEEEEEEEEEN: Sarah J. Maas! 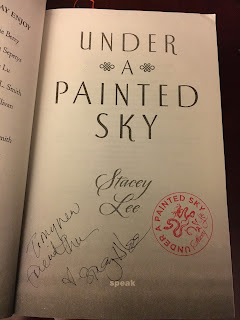 Last week was kind of a fantastic week for bookish fangirling: First, on Tuesday, I got to see/talk to Amie Kaufman and Jay Kristoff for the second time, and also got to meet Stacey Lee, whose book Under the Painted Sky has been on my TBR list for a while. So yeah, it's been a pretty major week for me, in terms of books! Not a lengthy writeup here, since I have met them before, but I was super excited to get to chat with Amie Kaufman and Jay Kristoff again. 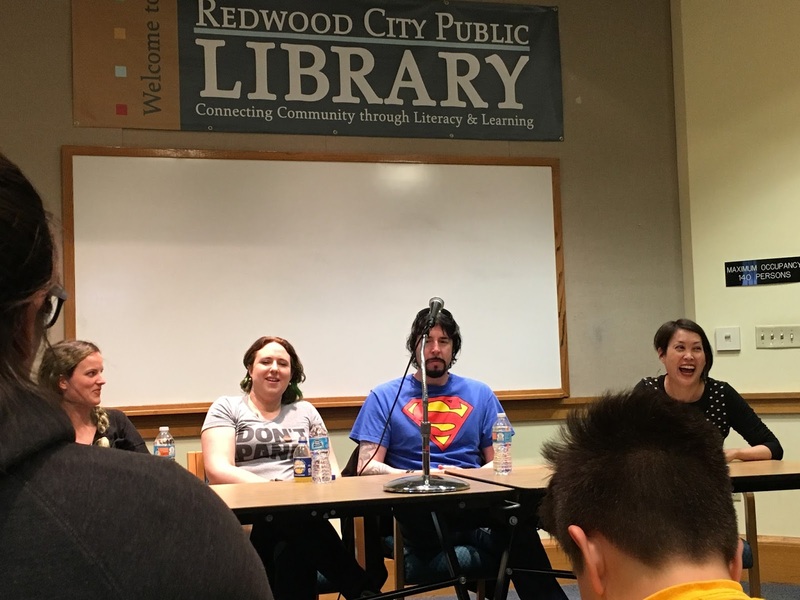 They talked a little about Illuminae (have you read it yet? GO READ IT! ), a little bit about the next book Gemina (alas, I did not win one of the ARCs they were giving away), and I got to ask them about the new series they are writing together, which is essentially like Hogwarts meets Star Trek. AWESOME. 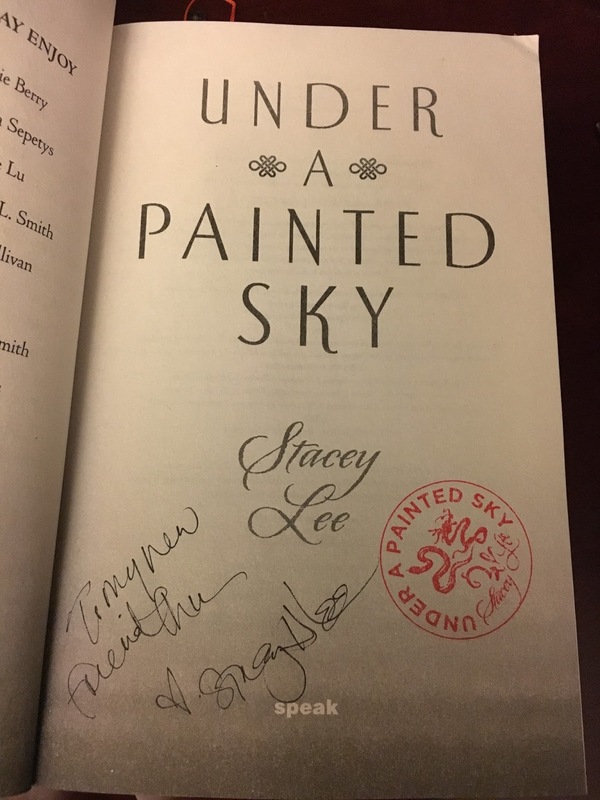 And as I said above, Stacey Lee was also there (moderating the discussion), and I realized that her book has been on my reading list for a while, so what better time than now to actually buy it and get it signed? 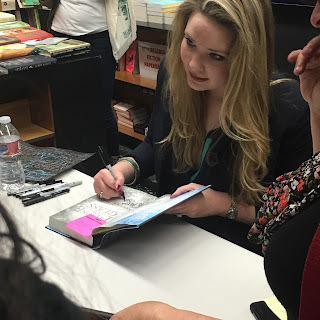 And then, the next night, I MET SARAH J. MAAS. My QUEEN. She of Throne of Glass and A Court of Thorns and Roses. 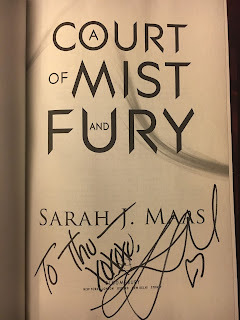 I read a LOT of YAF, and while I definitely have some favorite standalone books (like TFIOS and Illuminae), I have yet to single out my favorite series. Most of the YA I read are series, big ones like Twilight, The Hunger Games, Divergent, Vampire Academy, and The Mortal Instruments. 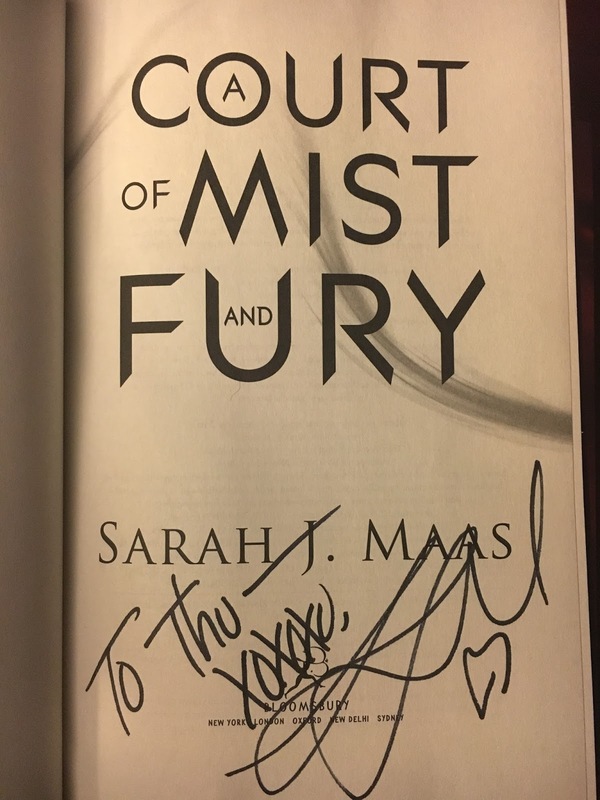 I love them all, and I have gone through the throes of fandom for each one, but I've never been able to pick out one particular series that I love more than the rest... until Throne of Glass. TOG is my favorite series, hands down. Everything about it is amazing - sweeping, epic, well-developed characters, rich universe. Celaena is like my literary Buffy Summers, and I can say this because SJM herself told us that BtVS was quite an influence for her, especially with this series.